Jennifer Nelson brings three decades of financial services background to the DWM team. Jennifer started in the financial services industry in 1986 with EF Hutton. She has held a wide variety of roles in operations, compliance and management with several different firms within the Minneapolis area. She joined Todd and the DWM team in March of 2004. 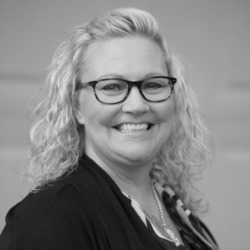 With Jennifer’s broad based knowledge and expertise she is able to provide a high level of customer service and identify critical issues that may be addressed to meet the client’s desired needs. She holds her Series 7, 8, 63 and 65 Licenses. Jennifer is also a member of Securities America's Sales Assistant Advisory Board. This group helps other assistants and advisors by giving feedback to Securities America on how they can help us help our clients. Jennifer just recently received the “Assistant of the Year” award for 2016 from Securities America. Jennifer lives in Prior Lake with her husband Terry, two daughters Eleanore and Mary Elizabeth along with their dog, Teddie Rose.